We’re always looking for ideas to make our trips more enjoyable. If you subscribe to our newsletter, you know we like to share one tip each month to help you make the most of your vacations. Whether it’s suggestions from fellow travelers, or our own trial and error along the way, we enjoy sharing the lessons we learn with our friends, family, and readers. Take a look at the tips below and see if you can apply these to your next vacation! One of the most exciting—and daunting—aspects of travel is finding something to eat. A new city or country often means a whole new cuisine, and it can be confusing or overwhelming to find a delicious, authentic, local meal. That’s why we love taking food tours during the first day or two of any trip. Food tours, often run by locals, connect you to your guide’s favorite restaurants or meals. You’ll have a chance to try new foods and ask for restaurant recommendations in a relaxing, safe environment. 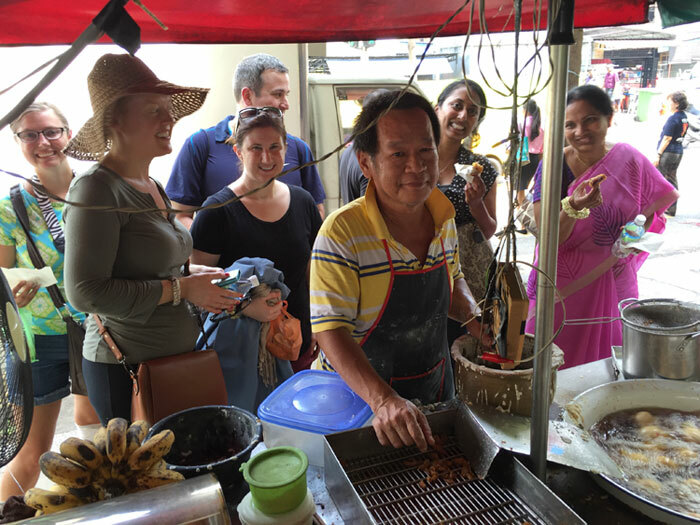 Food is a great way to get to know a new place, so make the most of your experience by joining a food tour as an orientation to your vacation destination. We have enjoyed food tours all over the world; check out our posts on Dublin, Kuala Lumpur, Ljubljana, Singapore, and Krakow to read about just a few delicious destinations! If you travel for a week, wearing each shirt twice means packing three or four shirts instead of seven! Of course, it doesn’t hurt to pack one or two extras just in case. Create new outfits by swapping out shirts or adding a different hat or scarf. It’s not hard to give yourself a whole new look, even with limited options. By incorporating just a few colors into your travel wardrobe, you will find it easier to mix and match your outfits, which will create more diversity into your look. Pick one or two pairs of shoes you want to take first and plan your outfits around them; if you pick your outfits first, you may find you need more than just a couple pairs of shoes! In 2011, we travelled to Australia for our honeymoon—and one little paperwork oversight almost prevented us from getting on the plane. I was careful to book the right flights, hotels, and tours, but it didn’t occur to me that Australia requires US citizens to have a visa before arriving in the country. When glancing through an email from our airline days before the trip, a tiny note about having a visa before arriving at the airport caught my eye. Thank goodness Australia offers an easy, electronic visa process that allowed me to complete our paperwork and secure our visas in just minutes—otherwise, that oversight could have been a very costly mistake! When it comes to international travel, be sure you know what paperwork you need to have in order before you leave home. US citizens are able to travel visa-free to many countries, but it’s important to know what countries require a visa before you leave. 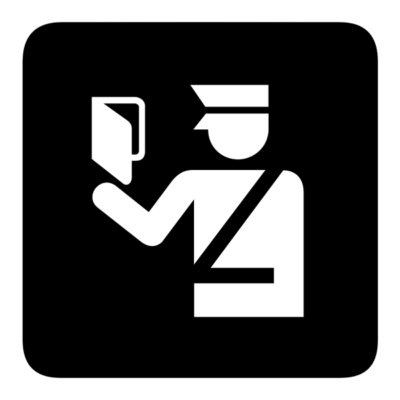 Review other entry requirements as well; we were asked to have evidence of our vaccination records on a trip to Bolivia, and when crossing the border from Cambodia to Vietnam I was asked to provide passport-sized photos when applying for a visa-on-demand at the border. Many countries streamline the immigration process, but do your homework in advance so you are prepared to meet their requirements and avoid any delays to the start of your vacation! Want more information about visas? 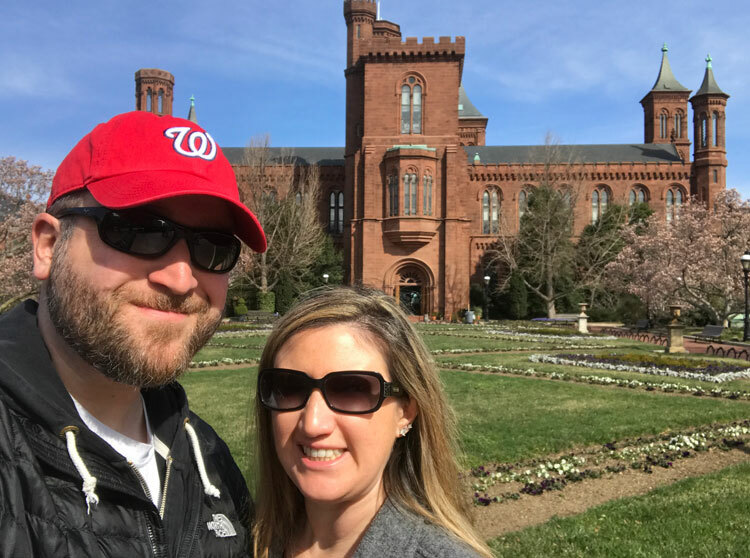 Our article A Tale of Three Visas: Tips on Traveling with the Right Documents shares a few more stories from our journeys! 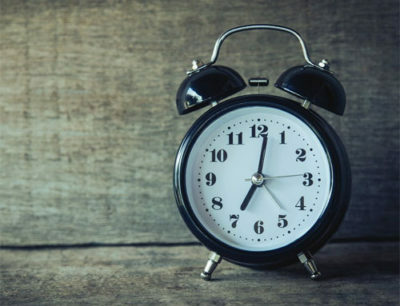 With the sun coming up a bit earlier each day, this is the perfect time to talk about our favorite tip for finding a few extra hours in the day. Vacations are often a time to sleep in, but consider waking up early once or twice during you time off from work. We have both come to love the quiet that comes with walking around a new city before it starts to wake up. In many cases you’ll have tourist attractions, coffee shops, and even whole streets to yourself. It’s a great time for exploring and picture taking when the light is perfect, and you won’t have many people in the background of your photos. Need more convincing? Imagine seeing the sunrise over that iconic memorial or monument in the city you’re visiting! Enjoy a cup of coffee after your walk and think about how much you have already achieved by just waking up a bit earlier: you’ll feel inspired to make the most out of every hour of your vacation! When you make your list of things to do before your international trip, there’s a good chance “get a shot” isn’t something you think to add. When you are at home, you usually don’t have to worry about getting sick—many of us are vaccinated against common diseases we might encounter while running errands or sitting in office buildings. When you travel, especially out of your home country, you may come in contact with diseases that are common in that locality but foreign to you—and it’s a good idea to know what you might encounter before you leave home. When you pick your next vacation destination, do some research on diseases or other health and wellness issues that might impact your travel. If you discover diseases for which you haven’t been vaccinated—such as hepatitis A and B, yellow fever, or Japanese Encephalitis—are commonly found in that location, make it a priority to seek preventative care. Some pharmacies, and virtually all travel clinics, will be able to consult with you about where you are going and what shots or medications you need in advance. Not all health insurance covers these vaccinations, though, so it’s a good idea to research the cost for any care you require and build it into your budget. It’s much better to be safe than sorry when it comes to your health—don’t skip your vaccines! Don’t take our word for it- this video from Passport Health shares some additional information. Of all the ways you can keep yourself happy and healthy while on vacation, staying hydrated might be the most important. Although hydration is especially critical during warm summer months when your travels might take you to hot, humid climates, drinking plenty of water is important no matter when you travel or where you go. Take a reusable water bottle on every trip and fill it before you leave your hotel each morning; your hotel will most likely have a source of clean, filtered water that is safe to drink. If your hotel offers free bottles of water, be sure to take them in addition to your own in case potable water isn’t available at your destination. We were grateful to have a few bottles of water when we visited the Salar de Uyuni in Bolivia, Petra in Jordan, and the Sahara Desert in Morocco; after all, remote spots won’t have convenience stores or other amenities. 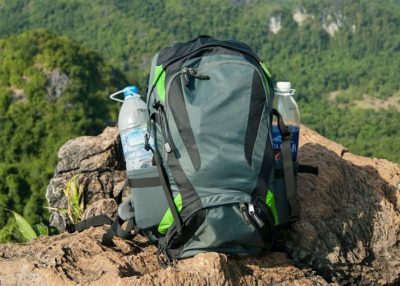 Consider taking a water bottle with a filter or purification tablets if you can’t trust the water source at your destination. Hydration can lead to serious medical challenges: drink plenty of water and stay healthy! When visiting a new city for the first time, we love to take a walk to get our bearings and become comfortable with our surroundings. That’s why free walking tours have become a staple in our travel planning—and our vacations. Entrepreneurial guides in a growing number of cities around the world offer free walking tours of their home cities—and yes, they really are free! Guides work exclusively for tips, which means they often give outstanding tours in hopes you’ll give a bigger tip. We have taken free tours around the world from Budapest to Krakow to Montevideo, and every tour has been fun, informative, and entertaining. When planning your next vacation, Google “free walking tour” in the city you will visit to see what options you have. Many tours are 2-3 hours and require a moderate amount of easy walking. As an added bonus, local guides will often point out their favorite spots for meals and museums or attractions you should visit, which means you’ll have some good tips for exploring on your own. Tips are discretionary but always strongly encouraged since guides receive no additional compensation, so they wind up being a budget-friendly opportunity for most tourists. Consider taking a free walking tour early in your vacation—you’ll leave with some great ideas for how to spend your free time! 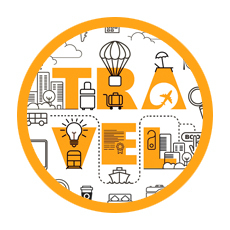 Are there any other travel tips you would like to share? Leave a comment below and let us know! Also, be sure to check out the other articles in our Smart and Savvy Travel Tips series to catch up on all of our recommendations! Be sure to check out our other Smart and Savvy Travel Tips posts!